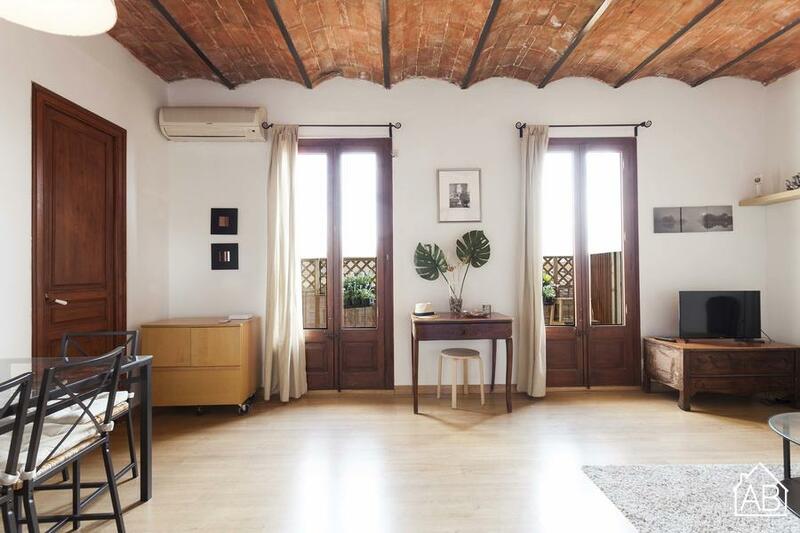 This is a cosy, two bedroom apartment with situated right by the beach in Barcelona. The Barceloneta area of the city is known as the old fishermen´s neighbourhood of Barceloneta is packed with things to see and do, including plenty of places to eat out or grab a drink, and there is even a cinema and shopping centre in the nearby Port Vell area. The Gothic Quarter of Barcelona can be reached on foot in less than 20 minutes and you can easily get around the city by public transport from this apartment´s fantastic location. The building in which this lovely locale can be found has a communal terrace for you to enjoy. The apartment itself is homey and welcoming, and can accommodate up to four people, making it ideal for couples or small groups. It comes complete with a washing machine, heaters and air conditioning, as well as WiFi so you can keep in touch with friends and family at home.